I have another gift idea for the adults on your list. 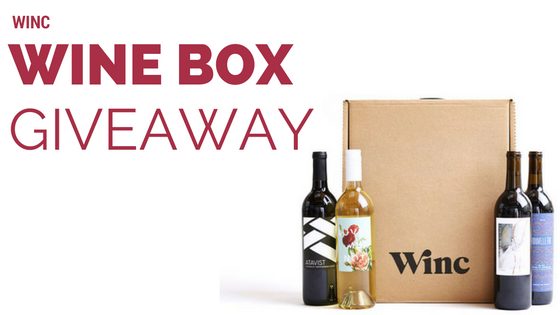 It’s Winc wine subscription boxes. Members can skip a month whenever they want and canceling is easy. If you want to cancel your subscription, just live chat their team and they’ll have you taken care of. Winc started as Club W in 2011, but has since re-branded to Winc. They’re re-imagining everything about wine from the way it’s made to the way it’s distributed. Their ultimate goal is to improve the experience for customers and build a grape-to-glass supply chain that’s sustainable for the planet. Winc works directly with small production winemakers from around the world to cut through some of the inefficiencies from the industry to bring their customers quality wines at a variety of price points. Winc also stands by their satisfaction guarantee – if you’re not 100% happy with your bottle, they’ll send you another one. Prices for your monthly wine start at $13 a bottle, but they have plenty of great gifts too! The cheapest gift is a $50 box filled with a bottle of wine and four different bags of caramel corn. Yum! Right now you can get $22 off your purchase plus complimentary shipping! That’s 4 bottles for only $30. Plus they ship within 2 days of your order so you’ll have these for the holidays!! I’m giving (1) Southern Savers reader credit to get their own box of (4) bottles of wine. Winc provided me with a box of wines to review, but all opinions are 100% my own.